/mo. for 12 mos plus taxes, fees, equip. charges. Requires 1-year agreement. Offer, plans, and stated rates are subject to change and may vary by service area. Requires AutoPay/E-Bill enrollment, otherwise $10.00 more per month. CenturyLink High-Speed Internet 40 Double Play Bundle gives you more speed and unlimited local calling for less! CenturyLink High-Speed Internet 40 is a fiber backed connection that brings enough power to handle virtually any application. With download speeds this fast, everyone in your household can download, play, stream, create and share anything, anytime. 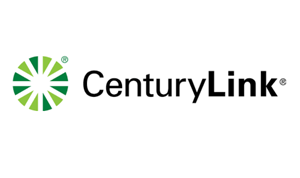 CenturyLink Home Phone Unlimited service features a reliable landline telephone connection with unlimited local and long-distance calling, plus essential calling features like caller ID, call waiting, and more! See if you qualify now, and lock in this great low price - for life! Including Voice Mail & more! Does CenturyLink High-Speed Internet 40 Double Play Bundle Have a Data Cap? Yes. The CenturyLink High-Speed Internet 40 Double Play Bundle Plan includes a cap of 250 GB of data per month. CenturyLink @Ease protects your computer with 24/7 support, identity theft protection, automatic cloud backup, and anti-virus service. CenturyLink Pure Broadband 40 offers lightning-fast download speeds up to 40 Mbps! CenturyLink Pure Broadband 40 is a stand-alone fiber-to-the-node (FTTN) connection, which means fiber optics exist from the Neighborhood Terminal to the Internet with a DSL copper line connecting the Neighborhood Terminal to your home, and no phone line is required to get internet service. This Pure Broadband connection from Centurylink offers enough bandwidth to handle multiple users and activities at the same time, so you can download, play, stream, create, and share anytime!